Collaborative work environments are offices that can be leased by day, week, or month and often include working alongside professionals from all walks of life. These office spaces have gained momentum over the past several years due to their ability to create flexibility, spur creativity, and foster a growth atmosphere you can’t find elsewhere. The efficiency-driven office environment of the past is slowly transforming to meet the needs of the incoming millennial generation who value collaboration and community involvement over a quiet, uninspired office space. As the upcoming generation strives to move away from the standard 9-5 office job, employers are faced with an increasingly independent work force looking for more than just a windowless cubicle to spend their days. Similar to the way Uber is revolutionizing the hired vehicle business model and Airbnb is influencing the hospitality industry, shared workspaces will create a niche for on the go entrepreneurs and business minded people who desire something more than what we’ve come to know and loathe. One of the best examples of the power of co-working is through the firm Wework. This company utilizes large office spaces in metropolitan cities to house teams anywhere from 1-100+ employees on a monthly, and sometimes day to day basis. 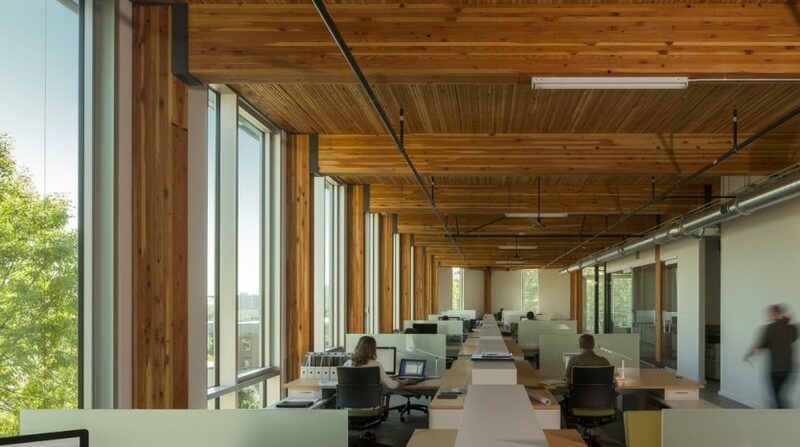 The design of each building is unique and offers floor to ceiling glass walls and aesthetically designed break rooms to foster a collaborative work environment where members are encouraged to mingle, share ideas, and ideally inspire further creation. They also implement classes for members, including meditation and kickboxing instruction for decompression and stress management. Thanking about taking the next step to revamp your office space? Consider these pros and cons to see if this is the right move for you. 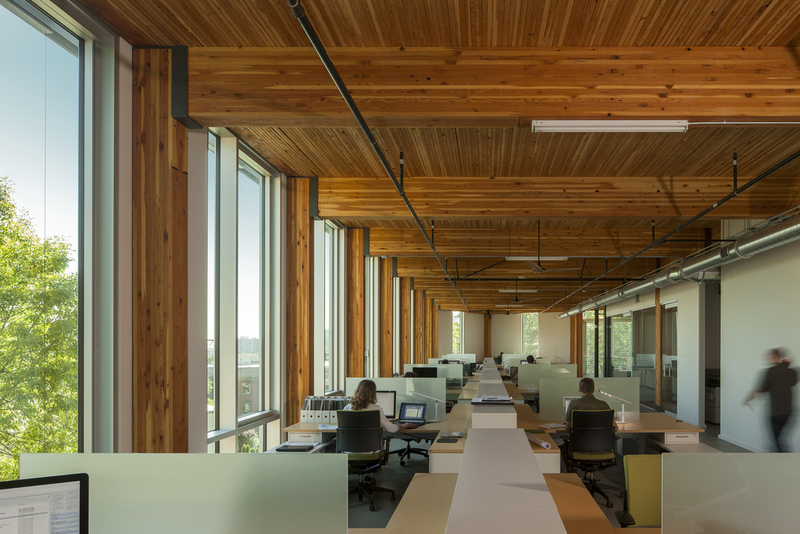 These workspaces provide networking opportunities, built-in resources, and a dynamic ecosystem full of bright, unique individuals looking to accomplish a variety of things. Foster innovation: not due to strict deadlines or stressful employer demands, rather based on a community of like minded people looking to better their products, and in turn the world. Creating a business is much easier due to the collection of talented individuals you’re surrounded by. You may need a CAD programmer or someone specializing in a particular type of law. In these workspaces, it is often much easier to find the resources needed to help. Offers great scalability. These offices allow your company to grow or downsize seamlessly without the hassle of having to invest in a larger office space or move from location to location. According to Bloomberg Business News, “Research has shown the shared office space trend is creating more efficiency in regards to utilization rates of office space”. It is often a matter of trial and error when it comes to finding the right coworking environment. Certain groups might be more beneficial than others and typically the only way to find out is by physically going in and giving it a shot. Many of the best collaborative workspaces are only located in popular business hubs such as San Francisco and New York City. Fortunately, this trend is one that is only gaining popularity and the prevalence of these workspaces is quickly expanding into smaller markets. These offices are often buzzing with activity, which can be an issue for individuals trying to focus on a task or make private phone calls. We hope over the next couple of years we will continue to get a clearer picture of what the market demands in regards to office space and how brokers can capitalize in order to stay ahead of the competition.